Heavy Duty Staplers are hard wearing and robust, they are purpose built for high usage environments where large quantities of paper need to be stapled together. 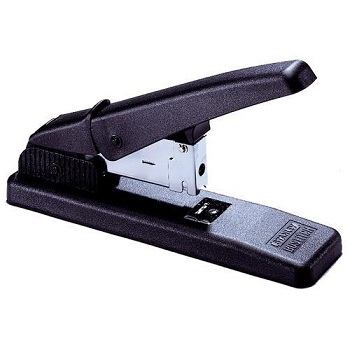 Heavy duty staplers have a stapling capacity of between 100 and 250 sheets of 80 gsm paper. 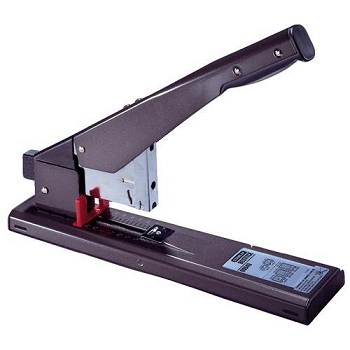 These staplers typically feature extra long lever arms enabling the user to apply maximum force for stapling thicker documents. 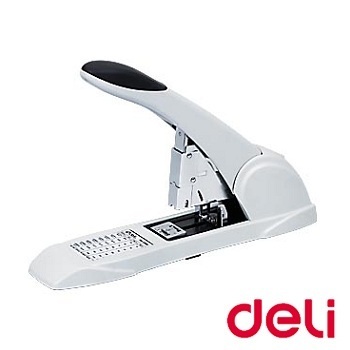 Quality heavy duty stapler at a deli... cious price. 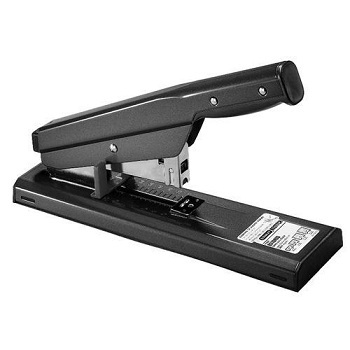 Great value, affordable heavy duty stapler suitable for any office. 150 sheet capacity - Adjustable throat depth. The power of a heavy duty stapler with the look of a desktop stapler. Compact design with AntiJam™ mechanism for trouble-free operation. Rear loading. Staples up to 60 sheets of 80 gsm paper. Uses Bostitch SB35 series 6 and 10 mm size staples. 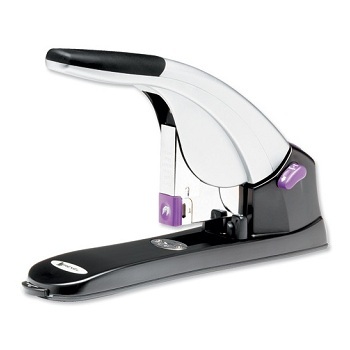 The perfect stapler with AntiJam™ mechanism for heavy duty stapling jobs. 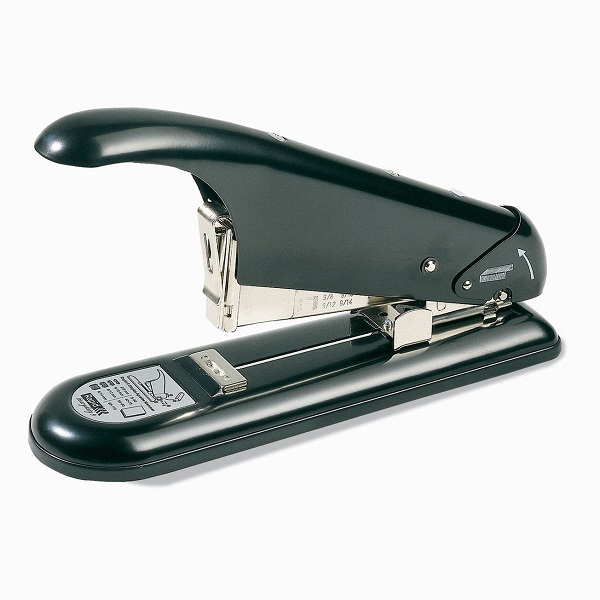 Antimicrobial finish prevents the growth of bacteria on the surface of the stapler. Rear loading. Staples up to 130 sheets of 80 gsm paper. Durable all metal construction with adjustable paper stop with Metric and English rules. Uses Bostitch SB35 series 6, 10, 13 and 15 mm size staples. 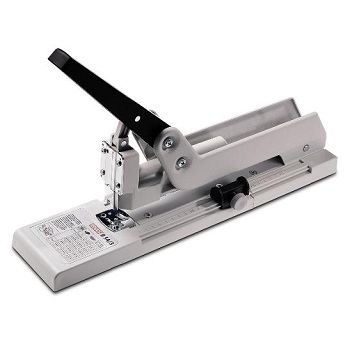 Get the leverage you need for large stapling jobs with this extra heavy duty stapler. AntiJam™ mechanism virtually eliminates staple jams. Rear loading. Staples up to 215 sheets of 80 gsm paper. Uses Bostitch SB35 series 6 mm through to 24 mm size staples. A powerful, classic design heavy duty stapler in strong steel construction. The penetration power and the gearing in this heavy duty stapler are impressive. Rear loading. Staples up to 110 sheets of 80 gsm paper. Uses Rapid 9/8, 10, 12 and 14 mm heavy duty staples. 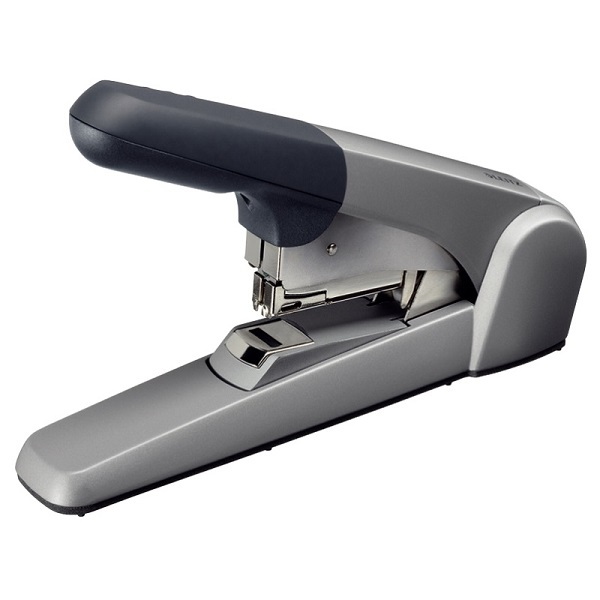 The Rapid HD70 Heavy Duty Stapler is equipped with a leverage mechanism for effortless stapling. Compact design makes it ideal for desktop and communal office use. Strong steel construction with ABS casing non-slip rubber feet. Silver/Orange colour. Low staple indicator. Uses No.9 (9/8 and 9/10) and No.23 (23/8 and 23/10) series staples. Mercury Heavy Duty Stapler requires 50% less force to staple at capacity. Staples up to 120 sheets with one staple size. Minimum 20 sheet capacity. Strong metal construction with rubberised handle and easy jam release button. Comes complete with a starter box of 400 staples. 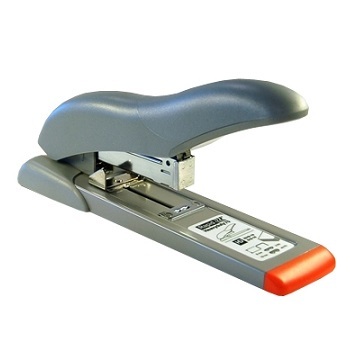 Premium, high-performance heavy duty lever stapler for parallel and bypass stapling. 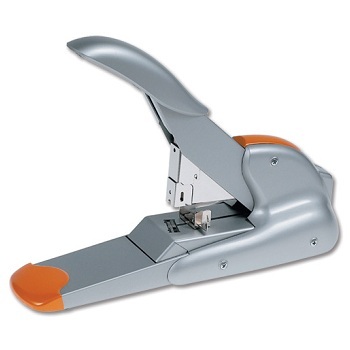 Its special feature is the adjustable anvil enabling parallel stapling and stapling in folds. For thinner stacks of paper it has a bypass system whereby the staple ends are inversely bent away from each other. An extra long throat depth of up to 25 cm allows stapling of A4 brochures. Front loading. Staples 20-170 sheets of 80 gsm paper. Use Novus 23/8 through to 23/20 Super staples. 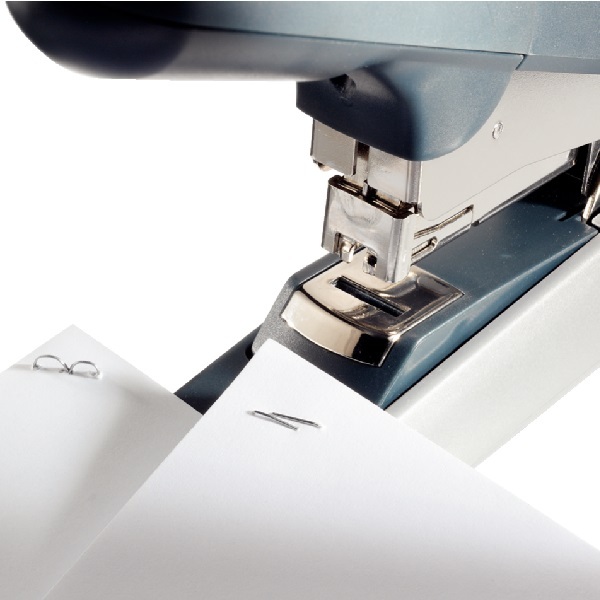 Unique, revolutionary Duax stapling technology - cuts the staple to the exact length while you staple. Flat clench stapling for level stacking. Adjustable paper guide. Tough steel construction with effortless operation. Silver/Orange.